Home Articles What Do Great Firearms Instructors Have in Common? 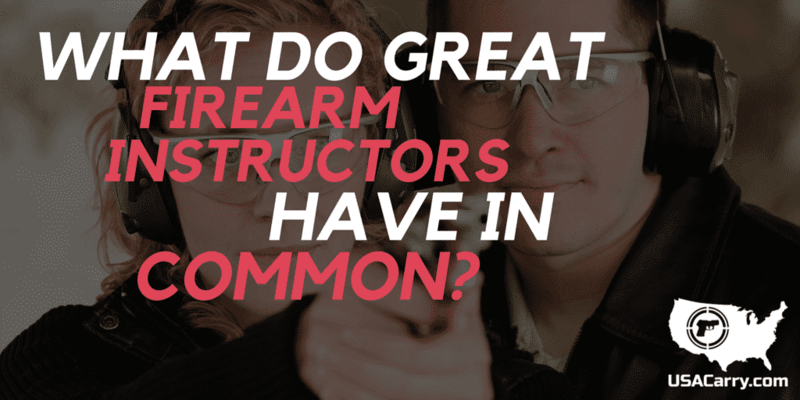 What Do Great Firearms Instructors Have in Common? Regular readers may know this, but I’ll reiterate again for any newcomers among us: I am not a firearms expert. I’m not a former FBI instructor, Navy SEAL, or CIA agent. My record in shooting competitions is at best mediocre in the grand scheme of things. I did not grow up in the backwoods, honing my marksmanship by putting food on the family table. I’m a normal guy with a shooting background, and that’s all. A Rock Solid Grasp of the Material. This is a must in teaching anything; understanding the material inside and out. Woken up from a dead sleep with a question, the correct answer is still right there. An excellent firearms instructor is a master of what they teach. Note that this isn’t to say they’re the best shooter in the world; plenty of great coaches weren’t great players. Teaching is a different skill set. We all learn at different rates, and we all have different strengths and weaknesses. A great instructor understands this, and allows for it. A student may have weak areas and relative shortcomings; a good instructor doesn’t allow it to affect their teaching. Knowing What They Don’t Know. No matter how good you are, or how much you know, there are limits to your knowledge. An expert in any field understands their limits as deeply as their expertise, and can admit what they don’t know. It’s honest, and what’s best for the student. Understand Different Learning Styles. Similar to the point above about “patience”, a good instructor understands the different ways in which students receive and process information. They’ll be able to use a variety of teaching media and techniques in order to get the information across regardless. Able to Direct Your Path. There comes a time to move on. The student has either mastered the material presented, or desires to learn something different or outside of the instructor’s knowledge base. A truly great firearms instructor understands this, and knows when it’s time for the student to move on and in what direction to send them. I’m sure there’s a lot more to say about the subject, but I think this is a good starting point for the curious student. Shooting is a journey for each of us involved, and our paths are going to be very different; thankfully there are great resources available to get you started. I’ll look forward to y’all sharing your experiences with firearms instructors in the comments or via email, and if you happen to be an instructor we’d really appreciate your input. So until then, stay safe out there. Click here to locate a firearm instructor in your area.